Upon moving to the new residence, the family usually invites people over for a housewarming party. 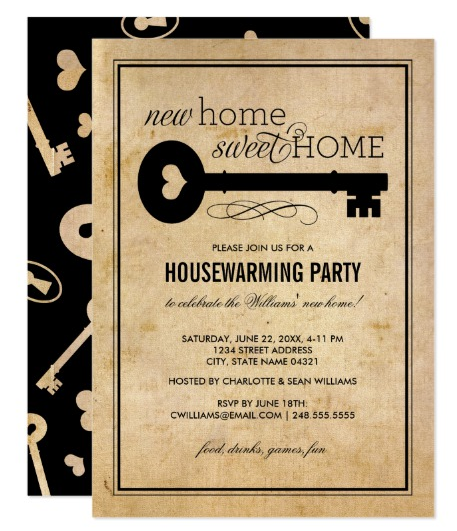 As someone who is a new resident in the neighborhood, hosting a housewarming is a great move to reach out to your new neighbors. You can also invite the people who helped you in the process of moving residences. Plan a good party for the guests that will be attending your party. It is a must to send them attractive sample invitations. A housewarming party is done to celebrate your moving to the new residence. When planning a house party, you should stick to your initial budget samples and find ways to pull it off. These are just some of the tips in hosting a housewarming party. Prior to all the plans for the house party, move to your new house first and unpack all of your things. Make sure you leave nothing in your old home. Decorate your home with the colors that you like so it won’t look plain boring. After decorating everything in your house, provide some finishing touches and secure your pets in a safe place. This prevents them from being a distraction to the guests and cause unnecessary trouble. Once you get settled, planning for the housewarming party begins. Three weeks to a month of planning is enough to get everything done. You should make a list of things that you want to have in the party and write them down on a paper. You may also check out here Opening Invitation Templates. 3. Make an initial budget. Set an initial budget for the party. As you start planning everything, from the food down to the printing of the invitations, you would realize if your budget is lacking or enough. Add up some amount when the budget seems not enough, but it’s better to not go beyond it. You can also go for catered food when the budget is more than enough. 4. Write a guest list. Have a mental count of the people that you want to invite to the party. List their names in a piece of paper and invite those who are close to you. Invite the neighbors so you can have an opportunity to expand your social circle. You may also see Invitation Formats. Take a look at the calendar and see what dates is your most convenient one in holding the house party. It is best to hold the housewarming party during the weekend, when most of the people are off from work. This gives them more time to enjoy the party if they are coming. 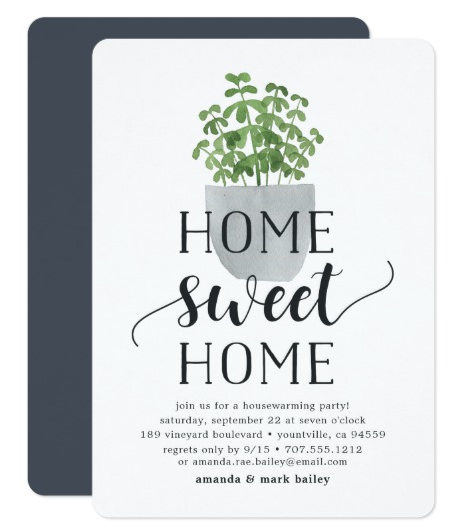 Choose a template for your invitation designs and make a design out of it. Make sure it’s attractive before you send it out to the guests that you plan to invite. You can go for simpler templates and design, but you can also put in a little effort and add some colors. Call up some of your closest friends to request for some assistance while planning the party. That is, if you live alone. If you have your family with you, request for their help whenever you need it. You can also contact your closest friends to ask for some suggestions and a little bit of help. Planning any kind of party is not done alone. It is a product of teamwork. Your house is not the only one that should look good. You have to dress up well for the party too. Grab a good and comfortable piece of clothing and put it on. This makes you look good in the eyes of the guests. You may also see Printable Invitation Templates. 9. Greet each guest that arrives. As a host, you need to face people all the time. Greet each guest that arrives in your house to create a good impression. Give them the warm welcome they deserve for attending your party. Give some drinks to the guests after they have made themselves comfortable in your home. They need some refreshments since some of them went for a really long walk and drive just to get to your home. Juice is the best refreshment that you can offer. Serve the finger food for the guests to munch on. Dinner is served later in the middle of the party. For the finger food, you can put a label on each bowl. Some of your guests might have dietary restrictions and can’t eat some of the food you prepared. After dinner, serve them coffee and dessert. Alcohol is optional for serving in housewarming parties. If you are serving alcohol, keep it to a minimum. 12. Mingle with the guests. Being the host of the party entails a lot of things for you to do. Mingling with guests is a must if you want to reach out to them. Have a friendly and lighthearted chat with your guests. Mostly you would be asked questions about your purchase of the house and the reason why you moved. Answer the questions directly and use good humor whenever applicable. 13. Tour the guests around the home. Offer the guests a quick tour around your home. It is the sole reason why there is a party. Make sure you have decorated the house beautifully. You can include some abstract paintings to give more life to your house. Accept compliments as graciously as possible. Be humble in showing and telling facts about your home. After the party ends, tidy up your house a little. You can do full cleaning the day after, when there are no visitors around. 15. Give out thank you notes. Show your gratitude to your guests by giving out thank you notes to them after the party. It shows that you are thankful for their time and it is the first of so many memories waiting to be made and shared. Moving residences is not a big issue, unless there is a shady backstory on this one. But for the most typical of reasons, moving into a newer and better house is considered a necessary move and a milestone at the same time. You may also see Dinner Invitation Designs. For homeowners, space is a much needed element when living alone, or with the family. If you are starting a family, you would always end up moving to a house with a bigger space to accommodate the growing number of your family members. Your children need a space to run around as well. As the children go older and move away from home, the parents would move to another house with smaller space. Some people move to another house when their companies assign them to move to a certain location. They end up packing all their things and settling down in the community. Adjustment has become their cup of tea over the years. You may also check out here Party Invitations in PSD. 3. Proximity to school and workplace. Some working class people live far away from their homes, as well as students in universities. Commuting takes time which can affect their productivity and tardiness in the daily lives. To beat the time of being stuck in traffic, they choose to move in residences closer to their workplace. It saves their time and they are able to do more. Nothing is permanent in the neighborhood that you live in. It is bound to change whenever you like it or not. When your neighborhood fells toxic for you to live in, it’s time to move to a better and more friendly one. It affects how you deal with people and how you live your daily life. You may also see Free Invitation Templates. 5. Get closer to family. If you move to a big city to work, you tend to become homesick and crave for the comforts of home. Moving to another house that’s closer to your family’s allow you to visit them more often. It may take some time to adjust, but knowing you can go home anytime to your family when everything’s rough is comforting enough. When couples decide to live together, one moves to the place of the other and starts a new life. When the relationship fails, they end up moving to different residences. Sometimes, both persons involved in the relationship leave their current residence and move in together. You may also see Rustic Party Invitations. When you want a fresh start, the first thing you do is moving to a new house. 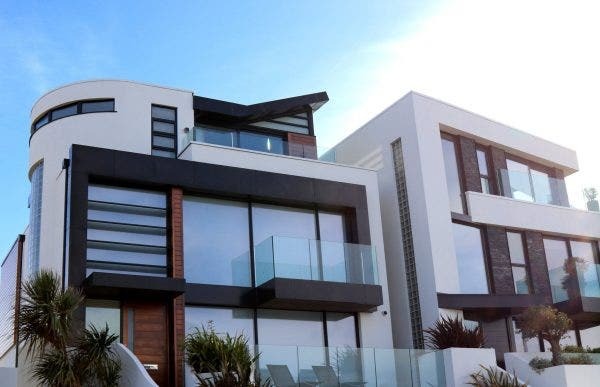 If you get tired of the daily grind of city life, you can always move to a house closer to the beach for a change of scenery and lifestyle. Changing of lifestyle can be attributed to factors such as illness and lesser expenses. Life is not meant to be lived in one place. People always move for different reasons. But apart from moving to a newer and bigger house, the memories made in every house you lived in will remain forever.